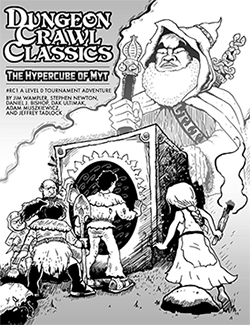 Dungeon Crawl Classics RPG was forged in the fires of Appendix N literature and nothing can be or will be more Appendix N than the works of Howard Phillips Lovecraft. Today our guest is Jon Hook who has written for Age of Cthulhu as well as DCC RPG. We’ll explore Lovecraft, oldschool Chaosium, DCC RPG and more on this episode of Spellburn! For Matthew who emailed us on this episode, the link to the character sheet in question is here, thanks (Naturally) to Purple Sorcerer. Goodman Games announces Cthulhu Alphabet! This was a great episode, Judges J!